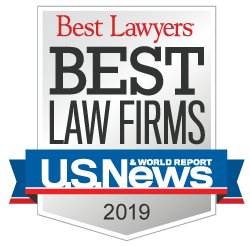 Philip Harnett Corboy, Jr., a partner and personal injury lawyer at the Chicago law firm of Corboy & Demetrio, was recently named one of the Top 100 Lawyers in Illinois by Super Lawyers. Mr. Corboy was one of only 17 plaintiff's personal injury lawyers on the list. Three other attorneys from the Corboy & Demetrio law firm were listed in the top 100 of all Illinois Super Lawyers. They are Thomas Demetrio, Shawn S. Kasserman and Philip H. Corboy. All twelve partners at Corboy & Demetrio were named to the 2008 Illinois Super Lawyers listing and Corboy & Demetrio has the distinction of having the highest number of attorneys of any Illinois law firm in the top 100 category. In addition, three young lawyers at the firm have been named to the Illinois Rising Stars list, which names the state's top up-and-coming attorneys.